I posted here about my classroom management plan with my clip chart, punchcards, and tickets. 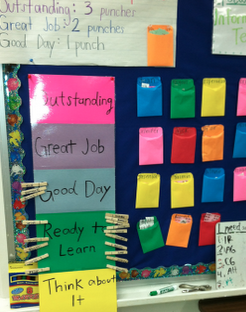 It was a fabulous system for my class; my students needed A LOT of positive reinforcement. Plus it was also apart of my school's Positive Behavior Support plan for every classroom to use punch cards and tickets. 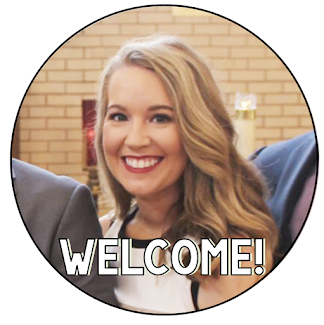 However, I am changing schools and I'm not sure if my new class will need as much reinforcement. I'll still be at an extremely low SES school but students are always different. If students don't need the reinforcement then I don't want to provide it. You don't give a toddler a walker if they don't need it. The plan is to start with just the clip chart. The only reward will be if they get to 'Outstanding' or above then they will get a positive note home since they clearly have shown some exemplary behavior! It isn't easy getting way up there in my class! My students will be writing what color their own in their agenda each day for accountability and reflection at the end of the day so I'm hoping that will be sufficient! If you use this clip chart do you provide rewards for move their clips higher than Ready to Learn? 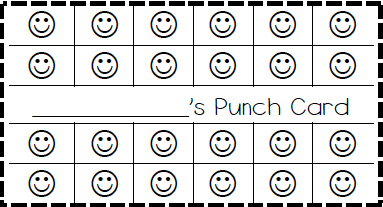 But if my class seems to be needing more support with their behavior (as in their wild animals and I'm pulling my hair out), I'll add the punch cards. If they really need extrinsic motivation then I'll give in to allow a peaceful classroom. 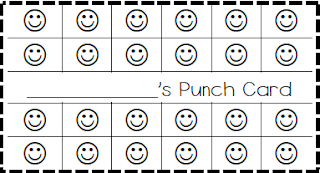 If only a couple (or just one) students are having trouble then I will just do a punch card for a few students then wean them back off once their behavior improves. This is also my vision for an individual behavior plan for specific students who might need it. Can you tell I came from a school with a lot of challenging behaviors?? Ha! I also made elephant, cupcake, bee, and fish punch cards too! So lets say my students STILL are having rough days. Well if my students are having a hard time in line, at lunch, or in specials then out comes the Terrific Tickets! I can give the tickets to their special teacher or lunch supervisors to hand out. They can't move their clip up if we aren't in the classroom but they can get a ticket which equals a punch in their punch card! Or maybe those students who need their own Individual Behavior Plan try to earn so many tickets a day. That would be also work! You would have to speak to that student and know them to see what kind of plan would work for you and them to be successful. Again your choice of smiley faces, fish, elephants, bees, or cupcakes! I'm hoping I won't be using punch cards or tickets and the clip chart will due just fine BUT you never know! If you use a clip chart please share if you tie in any positive rewards to it! Enjoy the freebies too! ps. I changed my comments from being pop out to embedded so now I can reply to your sweet comments you leave me! I hated how I couldn't reply to ya'll before. And I'm so sorry I had you fill in those silly codes to prove your not robots.. I know your not robots! I love using my clip up chart, when the students get to the top of the chart I add a rhinestone to their clip. They loved showing off how many stones they had! 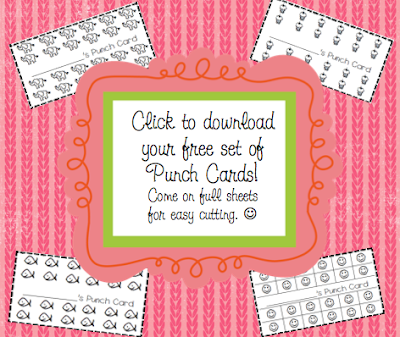 Love the full sheet of punch cards! Thank you! I stumble across this website this morning. I am going to try out the clip chart. Just wondering if I am correct in assuming that the kids all start on the "ready to learn" spot on the chart? I was wondering if you would share one of your behaviour plans?